Preparing :: to teach a new class starting tomorrow night! 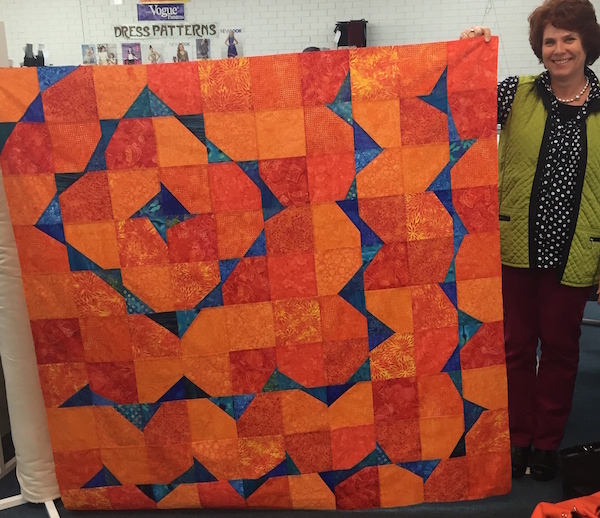 Anticipating :: a road trip with Heidi to Sydney for classes with Bill Kerr (yes, of Weeks and Bill and Modern Quilt Studio fame!!!). Bill has a reputation as an excellent teacher so I am really looking forward to the classes (and I have to admit, also to the weekend in a hotel – no cooking or cleaning. And a bath! We don’t have a bath and a friend recently reminded me that they exist in the world – now I can’t get that idea of luxury out of my mind!). 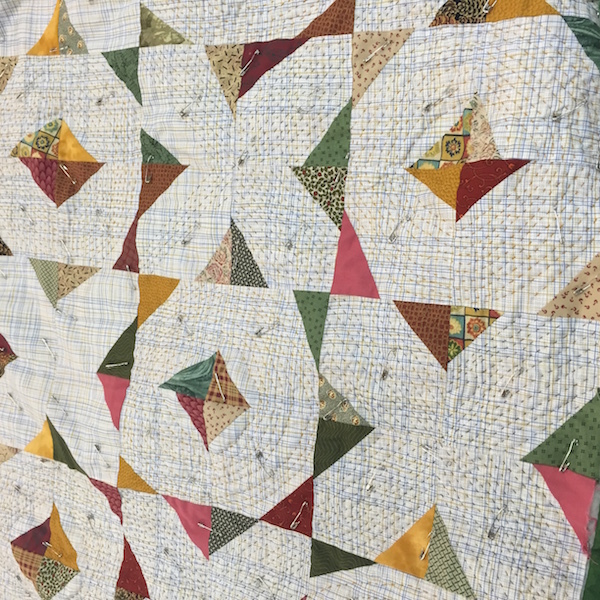 Enjoying :: students sharing the progress they are making on quilts from my classes! Eating :: meals from my meal plan which this week includes my take on Spanish eggs (In a large deep sided fry pan, sauté a sliced onion and sliced red capsicum, add diced chorizo, cook for about 5-10 minutes until the onion and capsicum are soft and the chorizo is browned. Add a tin of chickpeas and some par-boiled diced potatoes along with a tin of tomatoes and a tin of water. Cover with lid and simmer until the potatoes are cooked through. Make six wells in the mix and crack an egg into each well, cover with lid and simmer until eggs are cooked. Stir through a few handfuls of baby spinach and half a bunch of chopped parsley, serve with a fresh crusty sourdough). Also eating :: anything anyone else would like to cook for me! Reading :: Julia. And the Wife Drought – in which I realise just how much I need a wife! Listening :: to podcasts, specifically Chat10Looks3 (with Annabel Crabb and Leigh Sales) and The Crafty Planner (with Sandi and a whole lot of crafty guests! Thanks Chawne for the referral to this one). 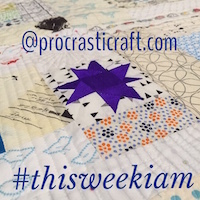 This entry was posted in #quilttheuniverse, #thisweekiam, cooking, improv, linkup, quilt, recipe, Teaching, this week I am on June 10, 2015 by procrasticraft.